A friendly welcome awaits you. Comfortable, well equipped en-suite rooms with wonderful views in peaceful surroundings. 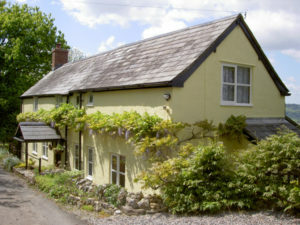 Village pub serving meals within walking distance. Historic towns of Lyme Regis and Bridport close at hand. Jurassic Coast beaches less than ten minutes drive away. Enjoy our award – winning breakfasts. Vegetarian and special dietary requirements catered for. Off-road parking and secure cycle storage. Beverage making facilities, text TV, Wi–Fi and alarm-radio. Enjoy our spectacular views from our terrace and garden. Fantastic countryside and coastal walks, right from our doorstep. Fossil hunting equipment, binoculars, walking maps and guides available to borrow. Wir sprechen auch deutsch. Visit Britain inspected: Four Star, Silver and Breakfast Awards.